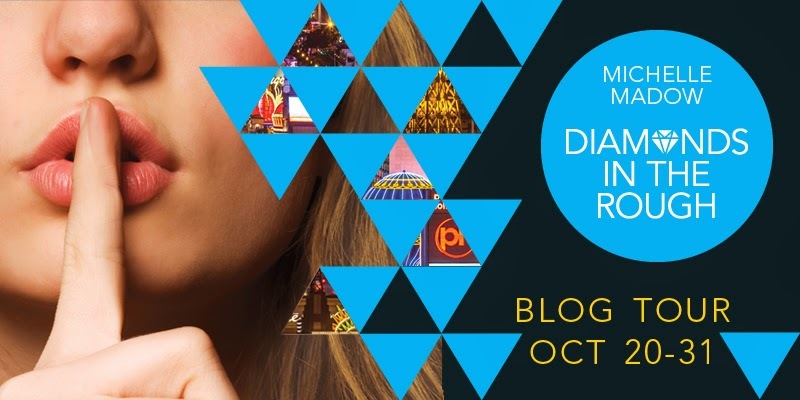 I am thrilled to be a stop on the book tour for Diamonds in the Rough by Michelle Meadow, hosted by Kismet Book Touring! I have a guest post for your reading pleasure, but be sure to check out the tour schedule below to read reviews, interviews, and more! "Because after I met you, I knew you were the one for me. I've known it every day since. You're smart, caring, selfless, kind, understanding, and I can all with yo for hours. You're beautiful inside and out. No one else has ever come close to comparing to you, and to be honest, I'm not sure anyone will." "Just that you're always so concerned about what you 'can' and 'can't' do that you don't do what you want to do." "When you're keeping a secret, it gets harder and harder to come clean every day, until you wonder if it's better to bury the truth completely. But it wasn't better. It only made it worse." Michelle steps it up for Diamonds in the Rough. I'll admit that I had a little trouble believing the plausibility of these sister's being the secret children of a billionaire, even if their parents split prior to the internet boom. Your father owns billionaire who owns casinos in Vegas and nobody knows of your existence and connection to him? I'm still skeptical about how this would play out in the real world but Diamonds in the Rough answers all these questions and more. Michelle teased that huge secrets would be coming out in this novel and she did not lie nor did she disappoint. Peyton, Courtney, and Savannah are slowing coming into their own after having their lives uprooted in The Secret Diamond Sisters. I grew to like the sisters more in this novel than its predecessor and a lot of that has to do with their character development. Peyton becomes less rebellious and slowly loses the "I hate everything" attitude, Courtney speaks up and stands up for herself, and Savannah is less naive. Michelle even manages to weave a story where I don't hate Madison - and that says something. Michelle does an amazing job of keeping each of her four main characters voices distinct and strong. These girls personalities are nothing alike and Michelle has the talent to keep them that way. They do not blend into one another and there is no way to confuse them with one another. Even her minor characters stand on their own and, regardless of the time they spend on the pages, have individual personalities. There are instances where things fall too easily in place, but Diamonds in the Rough is a fun and easy ready. 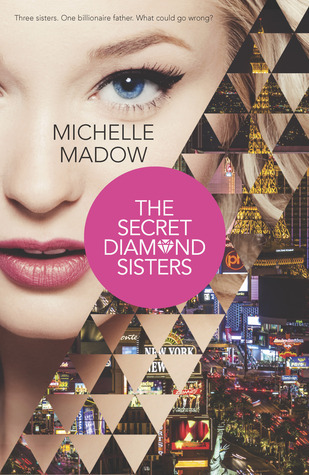 One of the things that I appreciated about this over The Secret Diamond Sisters is just when you thinking everything is all sunshine and lollipops, Michelle throws these characters a curve ball. With a basketball. The beginning is a little on the slow side, but once things start rolling and secrets come out, there is no stopping the momentum. Things are definitely going to come to a head in the third installment of this series and I'm very curious and looking forward to see how it is all going to unfold. There are SO MANY differences between these four main girls. Peyton is the oldest sister, the most stubborn, has taken the brunt of the difficulty of dealing with an irresponsible mother who recently spiraled into alcoholism. She hasn't gotten over a certain heartbreak, and has trouble trusting anyone. Courtney is the responsible, goal-oriented sister, who oftentimes acts as the mediator between Peyton and Savannah, and has put school and work before having friends or a boyfriend. Savannah is the youngest and most naive -- she's been protected by her sisters -- and is very innocent in comparison to them, but it also leads to her being an optimist who always believes the best in everyone. She also tends to crush on guys very easily. Then there’s Madison, the queen bee of her high school in Las Vegas, who feels threatened by the Diamond sisters when they first arrive, and who has internal issues of her own. 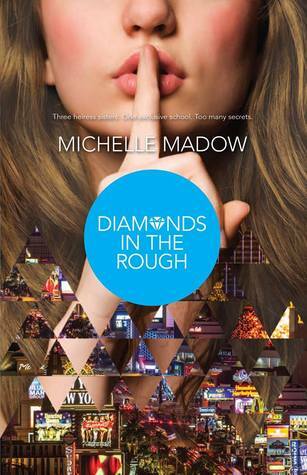 In Diamonds in the Rough, they face a whole new round of struggles—especially with the huge secrets that are revealed—and I love how much their personalities progressed in the months the story takes place. When writing from the point of views of four different characters, sometimes their voices meld together and sound too similar, so when I’m editing, I have to be aware of that and make sure their voices are distinct. Also, the characters are all inspired from different parts of my life. Savannah is most similar to what I was like in high school, Courtney has my focus and ambition and represents the quieter side of who I am, Peyton is least similar to me (she was inspired by a good friend from high school) but she shares my dislike of being told what to do, and Madison has a LOT of my personality traits (my friends tell me I’m like a “nice version of Madison.”) So whenever I’m writing their chapters, I try to “snap into” the mind of whichever girl’s POV I’m writing from! It’s definitely one of the biggest challenges of writing this series, and it takes a few rounds of edits to make sure I don’t slip up at any points. The four girls are all so different, so I hope that readers will be able to relate to at least one of them! Each tour stop is offering up a copy of either THE SECRET DIAMONDS SISTERS or DIAMONDS IN THE ROUGH, and one winner will receive a fantastic grand prize package including the following Harlequin Teen titles: THE SECRET DIAMOND SISTERS, DIAMONDS IN THE ROUGH, LET’S GET LOST by Adi Alsaid, CRASH INTO YOU by Katie McGarry and THE BREAKUP ARTIST by Philip Siegel.